In recent weeks I have gone from reading 16th-century manuscripts in a French provincial archive to speaking at two literary festivals. The close juxtaposition of these two ends of the historian’s spectrum has made me reflect on the nature of history as a discipline. The sort of raw data historians dredge up from archives requires many filters and processes to become the finished product: a book, a television documentary, a literary festival talk. Extracting that raw data and conveying it in meaningful terms to an audience require very different skill-sets. Yet both are essential. Finding treasures in the archives is the essence of historical research, while, as G.M. Trevelyan put it: ‘If historians neglect to educate the public, if they fail to interest it intelligently in the past, then all their historical learning is useless except insofar as it educates themselves.’ This is why at my college we are starting an MA in Historical Research and Public History. Both of these subjects come under the historian’s purview. Nevertheless, they are different and it is easy for historians to get lost in one or the other. Public historians can be irritated by academic historians who get caught up in the minutiae and cannot see the wood for the trees, who cannot communicate and write in impenetrable prose, or who squander their material by failing to convey the importance of their subjects. In turn, academic historians can be frustrated by media-savvy popular historians who come and prey on the material they have acquired through long hours trawling through archives, painstakingly deciphering ancient handwriting, or slogging through useless document after useless document in order to harvest some hard-won fruit, which the popular historian then serves up as a trifle for public consumption. It feels as if there is a rift in the discipline between those who feel that they are doing the serious archival work, while others are pinching their glory; and those who write historical bestsellers and feel that those who fail to write readable books about history are derelict in their duty. Sometimes trying to bridge the gulf between the two ends of the spectrum feels like doing the splits. 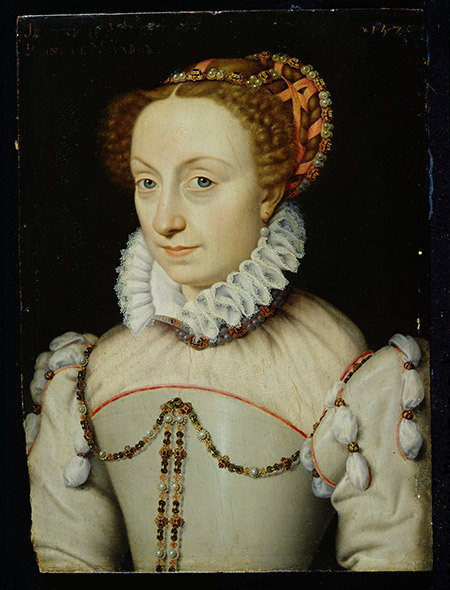 I am working on a book about Huguenot women in early modern France. In certain towns where they established control, the Huguenots set up a sort of moral court – the consistory – and its records have proved a rich source for social and gender history. In my recent archival trip, I was chasing up leads on ‘my’ women, or the men associated with them, in other documents, such as town council records, baptismal registers and criminal court minutes. These were all thrillingly substantial tomes of yellowing parchment, bound in vellum and inscribed in beautiful (if sometimes near-illegible) secretary hand. Yet, while everyone can understand the thrill of touching old manuscripts, explaining the value of my recent archival foraging is harder. I was looking through the registers, for example, to try to find out the names of some of the women who have hitherto only been identified as ‘the wife of so-and-so’, or if certain couples had a child, or whether various marriages were enacted: that is, details that were really important in the lives of those individuals who lived them and whose world I am trying to bring to life, but which are, now, admittedly, esoteric. This is not, I hope, just a piece of virtue-signalling. I want to identify the problem: how to take that kind of raw data and transform it into history that can move and educate the public? And the verdict: how blooming hard it is to be a historian. It is difficult to move from those lovely pieces of 16th-century parchment not only to making a story, but to making an argument that says something of import and says it in a way that the world can comprehend. Those who think of history as much more of a soft, easily accessible discipline than, say, physics or chemistry should be warned that it is not as easy as it looks. There is a rift between the two ends of the spectrum, but it seems to me that the very business of being a historian lies in that space. We are go-betweens.